Hollywood A-listers like Denzel Washington were snubbed. Nominations for the 68th annual Tony Awards were announced this morning, with some predictable nods and shocking snubs. A Gentleman’s Guide to Love and Murder led the pack with ten nominations. Neil Patrick Harris starrer Hedwig and the Angry Inch scored eight. The Broadway rival of A Raisin in the Sun received five nods while the musical ode to the Harlem Renaissance, After Midnight, garnered seven. Although Denzel Washington won praise for his portrayal of Walter Lee in Raisin, he was snubbed for the category of Best Actor — even though the rest of the cast was nominated. However, Denzel wasn't the only Hollywood star to get no love from the Tonys this year. Oscar nominee Michelle Williams went unrecognized for her role in Cabaret, as was Alan Cummings. Despite the snub for Denzel, A Raisin in the Sun gained a nom for Best Rival while three of its female stars were recognized. 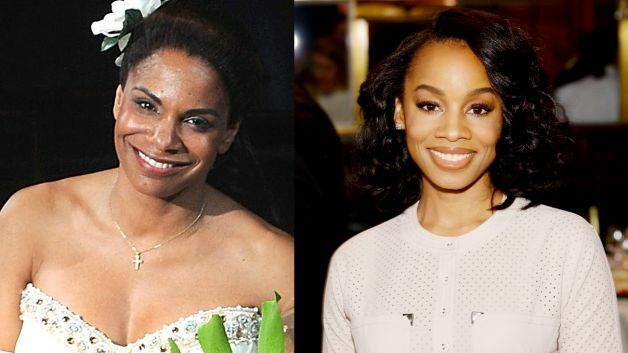 LaTanya Richardson Jackson landed a nomination for Best Performance by an Actress in a Leading Role in a Play, while Sophie Okonedo and Anika Noni Rose received noms for Best Performance by an Actress in a Featured Role in a Play. Kenny Leon who helmed A Raisin in the Sun, gained a nod for Best Direction of a Play. After Midnight, the musical celebration of 1920s Harlem, was among nomination leaders, getting a nom for Best Musical. Director Warren Carlyle received a nod for Best Direction of a Musical and Best Choreography. In addition, actress Adriane Lenox received a nod for Best Performance by an Actress in a Featured Role in a Musical. To no one's surprise, the ferocious Audra McDonald earned a nomination for her performance as Billie Holiday in Lady Day at Emerson's Bar & Grill. If Audra wins, she will be a history-making, six-time Tony winner. Also, as we predicted in October, Mary Bridget Davies earned a nomination for her uncanny performance as Janis Jopin in A Night With Janis Joplin. For a complete list of nominations, click here.